Bonefish Grill is an American casual dining chain that serves fresh seafood for brunch and dinner. It operates over 200 locations across the United States and likes to do things a little differently. This helps it to stand head and shoulders above many similar chains in what is a very saturated marketplace. The Bonefish Grill menu is a breath of fresh air in an industry that can be a little stagnant at times; and the Bonefish Grill secret menu adds even more originality to the mix. Bonefish Grill is owned and operated by Bloomin’ Brands, a force to be reckoned with in the food industry. Bloomin’ Brands was established following the creation of the Outback Steakhouse chain, which it still owns to this day. In the years that followed the creation of this chain, it launched and acquired several other restaurants, including Bonefish Grill. Some of the other chains owned by this mighty brand include Carrabba’s Italian and Fleming’s Steakhouse. This chain was first founded in 2000, by two people with a passion for fishing and for seafood. They wanted to create a restaurant where the fish was the star, and not the sauce it was slathered in or the bread it was coated in. Seafood is rife on the Bonefish Grill menu, but it’s not the only thing. Unlike many chicken restaurants, where 99% of the menu contains chicken; and burger menus, where you’re at a loss if you don’t eat meat, the Bonefish Grill menu is diverse. This is one of the main differences that has helped to set the brand apart, one of the things that has led it towards such a rapid growth. Lunch is the biggest meal of the day for Bonefish Grill. This is when all of their restaurants are open and when they do most of their business. However, they also have brunch and dinner menus. On all of these, you’ll find an assortment of fresh fish and seafood dishes, including a selection of wood-grilled fish. It’s not just about seafood though. If you have an allergy, if you’re a vegetarian/vegan, or if you just don’t feel like fish, then there are plenty of salads, soups and more to tuck into. These are just as fresh and just as delicious, but a little less fishy. Bonefish Grill use a wood-fired grill for most of their fish and seafood dishes and you can also enjoy wood-grilled steaks and other meats. The menu is extensive, so whatever your tastes, you should be able to find something you like. 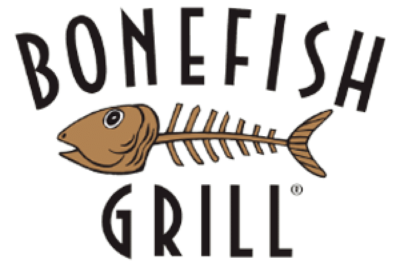 Bonefish Grill is big on specials and limited edition menu items. These are always changing, and there is usually something new available. This is the sort of thing that helps to create a substantial secret menu, which is why the Bonefish Grill secret menu is a little bigger than what you would expect from a casual dining location. It is not the biggest you will find on the site. It doesn’t come close to the Subway secret menu or the Tim Horton’s secret menu. But the Bonefish Grill secret menu does exist and it’s worth checking out if you want to explore this chain to the fullest. 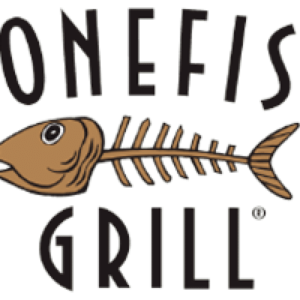 Looking for some Bonefish Grill menu prices? Just read our Bonefish Grill Menu Pricespage. This is updated all of the time and contains accurate information. Here you will see that this chain is fairly reasonably priced on the whole. There are some more expensive items available, such as in the case of certain fresh fish and prime cuts of steak. However, there are cheaper options and when you consider the quality of the food you’re getting, Bonefish Grill is good value for money. Bonefish Grill is the sort of food that fills you up and doesn’t leave you feeling lethargic and sick. It’s the sort of food that you’ll look forward to eating, will enjoy tucking into and won’t feel guilty about afterwards. It’s fresh, it’s light, and for the most part, it’s also very healthy. Of course, it all depends on what you eat. There are menu options that contain a little more salt and fat, menu options that are heavier on the calories. But for the most part, it’s light, fresh, healthy and nutrient-packed food. There are also options for special diets, whether you can’t/won’t eat fish or meat; you can’t eat nuts or lactose; or you’re gluten-free. To learn more about the nutrient content of Bonefish Grill menu items, and to discover what you can and can’t eat, check with our Bonefish Grill Nutrition Info page. The first location opened in St. Petersburg, Florida, in January 2000. The brand grew steadily from there and then received a boost when it was purcahsed by Bloomin’ Brands. In 2015 it surpassed 200 locations, and it has continued to grow since then. When you consider that Jimmy John’s opens 200 locations a year and that chains like Five Guys are exploding at an even greater rate, this might not sound like a lot. But it’s rare for a brand to grow so quickly after its launch, and if the first 15 years are anything to go by, then the next 15 years should be huge. For the most part, Bonefish Grill is open for brunch and for an extended lunch. However, many locations also open for dinner and also have a bar to keep you there until the evening hours. The store hours differ from location to location, so make sure you check-in with your local chain to determine the opening and closing times.